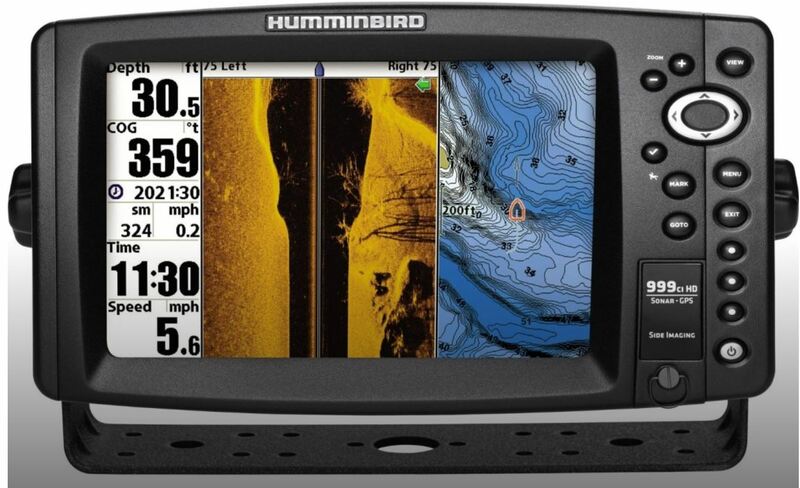 I see lot of people (especially people that fish) with fish finder / chart plotters on their boats. I dont fish but had a few years old Lowrance Elite 4 GPS fish finder / chart plotter laying around so decided to mount it to the TI. There are a few pictures of battery installs on TI's but of course according to the "serial modifiers code", I had to do things a little different. I use that Lowrance mainly to tell my speed and water depth but I also have it set up to display total distance traveled, water temp and battery voltage. Ive used it a couple times now.. very visable and if nothing else, somewhat fun. This Lowrance has a peak speed reading also but its completely out of whack. I have seen a peak speed reading of over 20 mph with the boat sitting on the trailer in the driveway. So I dont have that displayed. FYI, the transducer was REAL easy and slick to mount with the dedicated spot on the after 2015 TI. My setup battery has to be charged in the garage where I have 110 VAC. Anyone else want to share what they did?? I have a 30 watt solar panel on my sailboat with an MPPT controller. There are all sorts of ways to size solar panels some even with multiple digits of accuracy for solar daily output. The high accuracy doesnt mean much for a charging source that can vary by 70% day to day. 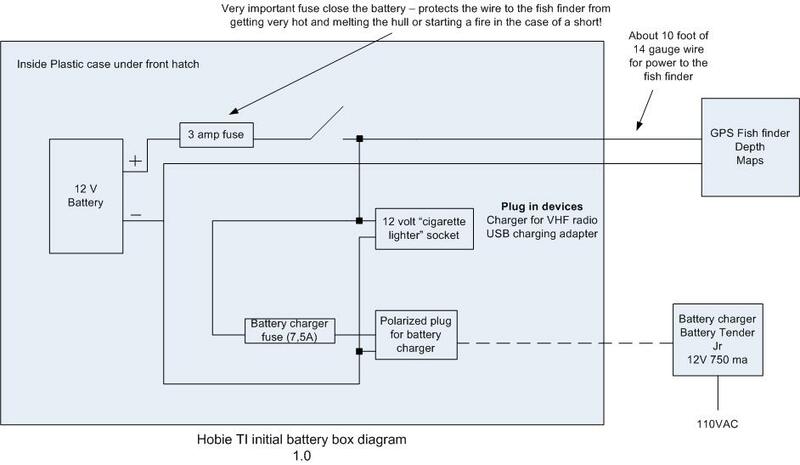 I know Torqueedo gives capacity in Watt*hours and this is technically what should be used but the sailboat people mostly use amp*hours with the implication that its always a 12 volt system. With my 30 watt panel and MPPT charge controller on the sailboat, I have measured about 10 amp hours generated on a sunny day. So a rule of thumb for my best output would be that the amp hours generated in one day is 0.3 times the panel rated watts. That is about as good as it "typically" gets and I normally just use rule of thumb of .25. Ie, if I have a 10 watt panel, I would assume that I would get 2.5 amp hours per day out of the panel (10 * .25 = 2.5). So for my very low power setup, how much solar panel would I need to replenish everything I used per day? Chart plotter only uses .19 amps and if I use it for 8 hours per day, that is 1.52 amp hours. Say I add in a little extra for charging other stuff so maybe go for a total of 2 amp hours per day. Using that .25 rule of thumb, Panel watt rating * .25 = 2 amp hours. So Panel watt rating would need to be 8 watts. Ie, 8 *.25 = 2 amp hours. Im not likely to put a solar panel on at the moment with day outings where I just plug the battery charger in when the boat is in the garage.. but I think a 10 watt panel would be all I would need. I am on the hunt for a torqeedo solar panel myself. I think it would work well for my situation. I tend to sail to a beach for the kids. There i could lay it out while they play to recharge (3-6 hrs pending on how much food we brought for the kids). During that time i putz on the SUP or sail around. I've set up a 12 VDC electrical system on my TI, much the same as yours. I used the Hobie battery holder and a typical 12V 9AH lead acid battery for power. I didn't see the need to use anything more expensive or exotic. 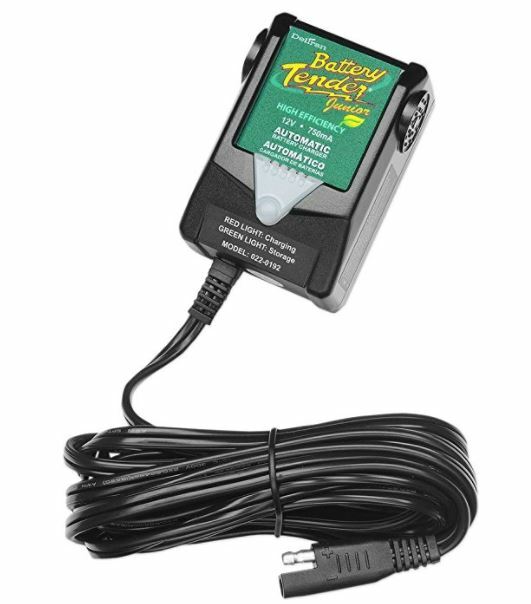 I charge it with a Deltran battery Tender Jr. This provides all the power I need for up to 10-12 hours of run time. This is all I need for now, I may upgrade it next year with a lithium battery with more capacity if I need more power. I may add lighting to the boat as I seem to be on the water after sunset more and more lately. hmmm.. bilge pump.. Nav lights.. I was out yesterday after sunset.. thinking about that also. That battery tender jr actually seems to work fairly well. I have watched what it does and when first connected, it must first sense a battery voltage so it never sparks (I think its 9 volts) and it goes into bulk mode until the voltage hits 14.4. It then goes into absortion mode which is mostly constant.. Float voltage is 13.1 volts so it is safe to leave it on the battery for long periods. Good deal for I think about $35.. I took the TI out yesterday in Denver and took some pictures which I added to the link in the first post. The back of the fishfinder is going to get wet.. hope I dont have any problems because of that. Last edited by walt on Fri Sep 22, 2017 10:08 am, edited 1 time in total. I added the bilge pump because I tried everything else to prevent water coming in from the front hatch. 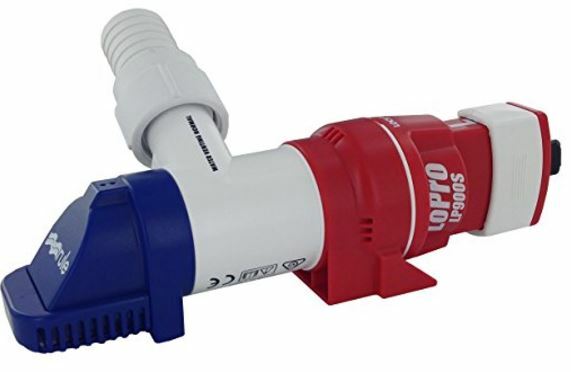 With the auto bilge pump it's no longer a worry especially in very rough conditions. I'm gonna get me one of those bilge pumps. In calm conditions over the course of the day, my TI might take in a cup or two of water, I'm fine with that. However when it gets rough and when offshore that can quickly turn into 5 gallons. I've water tested the boat many times with a garden hose in the driveway trying to figure out where that stupid water comes in, nothin.... I suspect the water comes in thru the front hatch, but only when the boat is underway and the hull is flexing up and down. To kind of prove to myself what was happening I lifted the boat by the bow and you can clearly see a 1/4" gap opens up at the center of the front hatch when I lift the bow, where water just rushes in. We have returned from offshore several times now with the stern of the boat completely underwater, which can't be a good thing. Yea a little water comes in thru the round hatches, and some thru the rudder tubes in the rear, but I suspect the majority comes in the front hatch. Anymore if I'm knowingly going out offshore in rougher conditions I tape a garbage bag over the front hatch. This is another one of those self fixes/mods that all of us that use our boats often need to do to make the boat usable. We have had 3 TI's now over the last seven years with the exact same known issue. In my opinion this is one of the most talked about issues on this forum. I fail to understand why Hobie has not switched to a cork in a bottle type seal, vs the current flat seal. I can live with a quart or two of water in the hull, but 5 gallons is too much. I'll probably add a bilge pump, but my point being this has been a known issue for over 7 years and we shouldn't need to add bilge pumps, or tape garbage bags over our hatches to compensate for the most common and written about problem on these boats. Plenty of threads about the leaking hatch - try a search. Im not sure why but I have never felt like I had much of a problem with the front hatch. 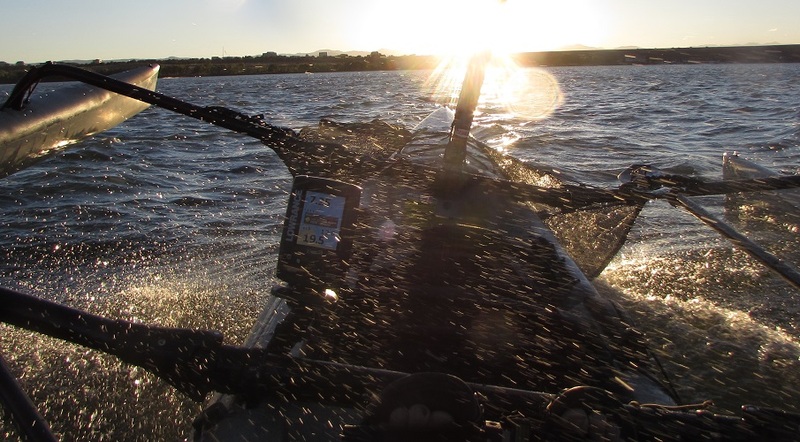 If Im solo I sit in the rear seat and the front hatch always stays out of the water (see the pictures I just posted.. it takes a some wind to hit over 9 mph and both the front hatch and myself stayed fairly dry. This was sail and pedal only, outboard and bracket all removed). It may also be that almost all of my sailing is in lakes and the only time I get very big waves is if its howling.. and then I do get some water. I was looking at the power requirement of a bilge pump and this could be off but an average 500 gallon per hour pump looks like it uses 2 amps when pumping. Lets say you have a real problem with leakage and get 20 gallons of water in the hull in a sailing session. The pump would run sporadically turning on when it needed to but assume the pump removed all the water at one time. At 500 gallons per hour, the pump would only need to be on for 0.04 hours (500 *.04 = 20 gallons). Note.. wow.. that is only 2.4 minutes the pump needs to run to remove 20 gallons! At 2 amps and running for .04 hours, the charge used is only .08 amp hours. Remember that my battery has a capacity of 5 amp hours and Pro10is has 9 amp hours so .08 amp hours barely puts a dent in drawing the battery down. Even if the numbers above are off by 100%, it still looks like powering an electric bilge pump is practical even with these relatively "micro" battery systems. I have two sets of those Atwood clip on led nav light sets that I keep in a dry box in the front hatch along with my first aid kit, tools, and flare pistol and flares, (two sets just in case one fails , (ie... salt water)). I got them at walmart (I think around $30 bucks), the mounting clips are mounted on the boat perminantly. Too many times we've done the gilligans isle thing, planning a 3hr tour (lol), got offshore then couldn't get back to the island (key west) because conditions changed while we were out. Several times we didn't get back in until way after dark, totally exhausted. We also always carry a couple waterproof flashlights because you can't see a darn thing on a moonless night, we have rammed several channel markers at night. Up in Key Largo every single resort looks the same at night from offshore, we ended up using the key fob for our car to find the right resort (lol). Yea probably should have marked a gps way point, or at the very least look back as we were pulling away ,( forgot to do either). We have full nav lights (ie... red green on the bow, and white on the stern), mostly because we have twin big ole outboards and the boat scoots along pretty fast when needed, (similar to an under powered pontoon boat, lol). Something interesting when you run wires in a plastic kayak.. This diagram shows a fuse close to the battery. On my setup, that fuse is less than 5 inches from the battery. I put the battery pack up near the front of the boat because the two round access hatches in front of each seat are used for storing stuff like water, cell phone, camera, lunch.. etc. I could have put the battery in the round hatch all the way to the rear.. but I wanted the weight up front since I solo from the rear seat. Point being that I have a DC wire run from that battery box through the hull and to where the chart plotter is located. In the future, this wire run may power other things also.. These are small batteries but I am guessing that if you shorted the battery terminals, whatever was shorting the battery terminals would get very hot. If this is a set of 14 gauge wires running through the hull with the battery on one end and a short on the other end.. I hope to never find out what would really happen but at the minimum, I can imaging some plastic getting melted. So the purpose of that fuse very close to the battery is to protect the wire from melting something or starting a fire in case of a short anywhere along the wire run. The closer that fuse is to the battery, the less wire that is not protected. Note that I have a 3 amp fuse in there but since 14 gauge wire is rated for about 20 amps, this fuse could be as high as 20 amps and protect the wire from a short. I think I have the same one - uses four AA batteries? I only have a single all around white light.. Figured if I was only going to carry one light, the white would be best. This is what I was thinking also. Technially you may also need a running light up on the mast somewhere if you are sailing... but.. that is sort of pushing things.. I would also just do what FE did. FWIW, I mounted a 50 w solar panel (Grape Solar sourced on sale at Home Depot) on the forward portion of my starboard Haka. MC4A connectors live in the forward net pocket and the line runs through the hull (using a Hobie thru-hull kit) to the forward hatch. 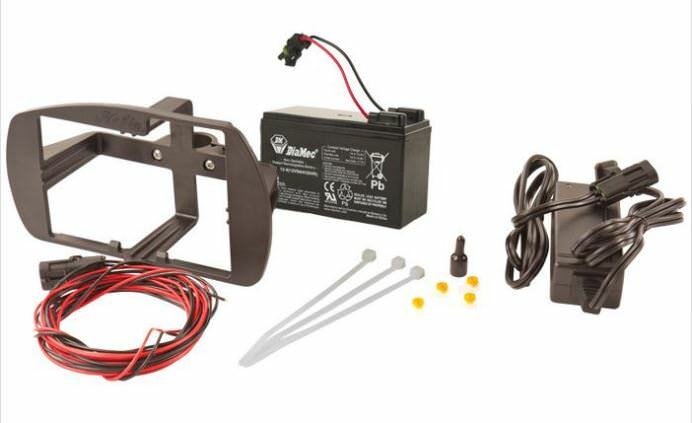 Waterproof battery box holds an LED Solar Controller, two 12v 8 Ah and 2 fuzed SAE Powerlet cigar outlets. Wires in and out of the box also have the MC4A connectors with the power out running inside the hull to the rear seat area where it goes back out to the rear starboard net. Lowrance connectors live in that net. I bought 10 ga and 12 ga AWG marine grade wire at West Marine after speaking with an electrician at Home Depot. 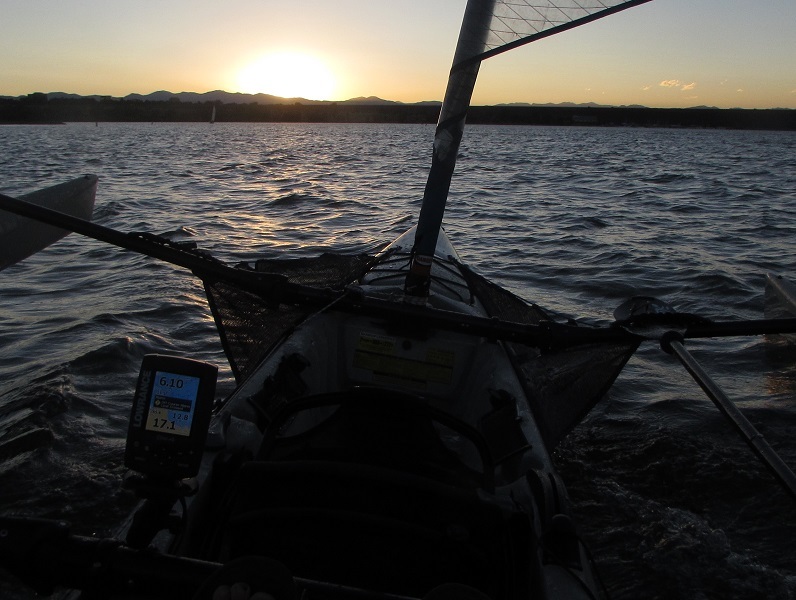 I spec'd everything to be able to run my Lowrance and a nav light, and to be able to bring the bat box into camp to charge my cell phone, and VHF radio overnight. The panel topped off my batteries even on a foggy day. I really like this idea!! I changed gaskets twice but still take in lots of water in heavy seas. Where do you exhaust the water? Yes, that's 100% correct. The fuses should be as close to the battery as possible. I also mounted my battery holder to the mast support below deck. This way it's isolated from touching any plastic hull surfaces if it ever should get hot. I thought about this a lot and considered many locations. I ended up placing the outlet on top next to the rear hatch. This works very well and is out of the way. I'll take a photo later today. Water can't get in because the bilge pump I used included a built-in one way valve.